“It appears antibacterial products aren’t as beneficial as advertised. The U.S. Food and Drug Administration recently started prohibiting manufacturers from marketing over-the-counter consumer antiseptic wash products with one or more of 19 ingredients. The ban, which took effect in September, includes two of the most common ingredients, triclosan and triclocarban, which are found in antibacterial hand soap and body wash. The ban comes after antibacterial hand and body wash manufacturers failed to provide sufficient evidence that proves the health benefits of the ingredients, according to the FDA. The administration recommends using soap and water. Reverting to traditional methods has spread across the industry, including cleaning companies. Although there are no specific state and national regulations that dictate the type of cleaning products companies must use, many cleaning companies have become environmentally friendly but also have become more aware of the health safety. 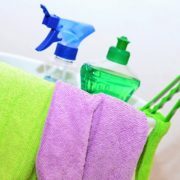 Renae Hesselink, vice president of sustainability at Nichols in Norton Shores, said some hazardous cleaning products include bleach, glass cleaners that have ammonia, and toilet bowl cleaners that contain chlorine. 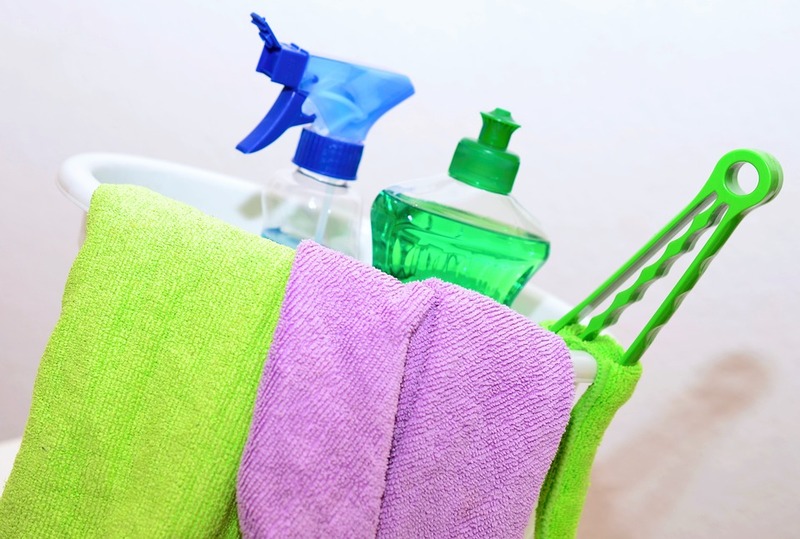 Eric Mosley, owner of Grand Rapids-based Furst Cleaning Services, said over time, cleaning companies have become aware of the harmful effect of cleaning products since he opened his business in 2000. Mosley said he didn’t change the type of cleaning products he was using until around 2008 when he was bidding on contracts for office buildings. ‘Some guy was there boasting, ‘Yeah, all my products are green,’ and I am like, ‘What is he talking about, what’s green?’’ Mosley said. After doing some research, Mosley said he realized he needed to switch his products and use the products that aren’t harsh on the environment. He also works with chemical waste-collecting companies, such as Plummer’s Waste Group. ‘I think green cleaning and eco-cleaning, and not leaving your carbon footprint on the Earth really changed a lot of chemicals,’ Mosley said. Matt Koster of Enviro-Clean Services, a commercial cleaning company, said the majority of the chemicals the business uses are green certified, including glass cleaners and floor cleaners. Hesselink, who also is a founding member of the U.S. Green Building Council West Michigan chapter, said with more awareness, more illness can be prevented.